There’s nothing more satisfying than a full and rich sonic landscape where the elements are so detailed it feels like the performers are standing right there between the speakers. By contrast, there’s nothing as disappointing as a thin and hollow representation of an otherwise great record. Thinness has a number of causes and therefore a number of different solutions. Thinness is sort of the celestial opposite of muddiness. Wherein a muddy mix there is simply too much overlapping sound, a thin mix is one where the sonics are under-represented. The number one way to remedy a thin mix is to find the answers in the arrangement — particularly in the midrange. It’s very easy to turn down instruments that overlap for the sake of clarity. A piano, acoustic guitar, viola, voice and snare could all easily be living in the same band of midrange. If that’s the case and we end up moving too many things out of the way, it’s actually ok to let the mix be a little dense/muddy if it feels like it’s lacking body. I’ve said this a few times in various articles and videos, but not everything needs to be perfectly clear all the time. I’d rather a mix feel full, even if I can’t pick out every little bit of each instrument, than to be crystal clear but anemic. Ideally, we sculpt our mix to have the best of both worlds. We seek a balance between clarity and fullness. That can involve our EQ and dynamic choices on individual elements. But sometimes it’s simply not possible given the arrangement, and that can be ok too. On the subject of muddiness, the lower midrange stands out in particular. That precious range between 200 Hz to 1 kHz is where a lot of stuff happens. Most of our fundamental tones, first overtones, and room tones hang out in this range and it can become pretty messy pretty fast. In an attempt to open this range up it becomes very easy to go too far or to fail to recognize when we actually need more lower mids. This is especially true when we consider that leaving the lower mids open accentuates the bass and treble range — which are the ranges that give a record power and sheen respectively. It’s important to acknowledge that the real heart of the music is beating in the mids. In sculpting the lower midrange I think simply focusing on trying to retain as much as possible, rather than cut away as much as possible, will fix a thin mix as it is happening. It’s also important to recognize that sometimes a source needs both cutting and boosting in this range. Hypothetically, we may have a source where there’s room build up at 600 Hz, but at the same time needs a bit of 400 Hz to feel full. There’s no sin in pushing up 400 Hz and then removing some 600 Hz accordingly. This may sound weird, but if you’re having trouble getting your head around this idea it can actually help to do your boosts and your cuts on separate EQs. The visual existence of a strange looking EQ curve can really get in the way of an honest assessment of what needs to happen. Sometimes an arrangement is just thin. There isn’t enough actual instrumentation to provide a full sounding mix. In this case, we have a few other tools at our disposal. 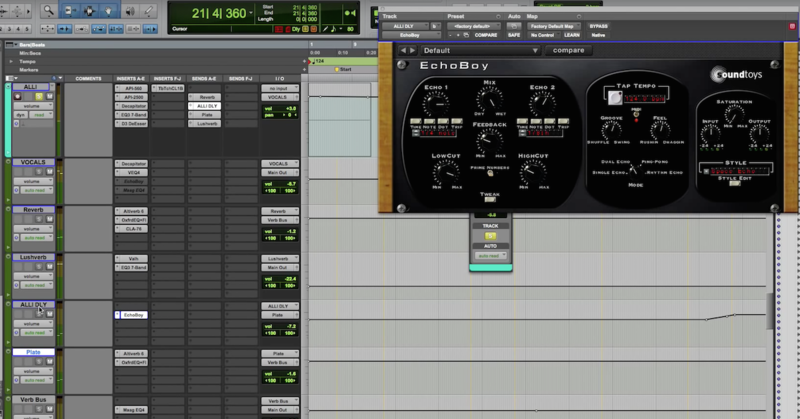 We can fill out the sound through the use of reverb and delay. Traditionally, these effects are used to create a sense of space and depth. However, any time we are putting something like reverb into a mix, we are actually generating a new sound. And with that sound comes rhythm, tone, and sonic content. If we are thoughtful in our approach, we can construct ambiences that not only provide dimensionality to the mix but also aid in filling out an otherwise thin arrangement. Sometimes we just have naturally thin sounding sources. Maybe they weren’t recorded so well and we need them to be fuller. The thinness in this sense isn’t a lack of mids or low mids, but a broadband lack of detail that is signature of cheap mics and preamps, or rooms that cause a good deal of comb filtering. Essentially the problem here is that there are actual bits of frequency content missing giving the sound a somewhat ghostly/hollow/thin sound without a specific frequency range being deficient. Unfortunately, to a certain extent, this is unfixable. That said using distortion or saturation can help replenish the lack of frequency content by adding in harmonics. This is a trade-off — the more saturation we use the fuller the sound, but also the more colored and edgy. It’s important to be mindful of the give and take here. Doublers can also work in this regard. The pitch shifting helps fill out the sonic content of the sound. However, it’s important to be careful with doublers as they can actually cause comb filtering. I find it’s best to set them in mono to get the fullest sound before unfolding out to stereo. Compression won’t inherently change the sonic fullness of a sound. However, it can be used to make a sound sustain more, bringing up more sonic content for longer. In this sense, compression can be used to add body to a sound or a mix. To me, this is rarely a “fix” and more of “an augmentation”. 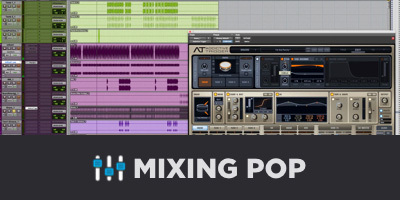 Carefully applied through the course of a mix, compression can add up to a denser, more bodied mix. My only hesitance about compression is that it’s not really possible to have both an open and airy mix and a mix that was salvaged to fullness through compression. 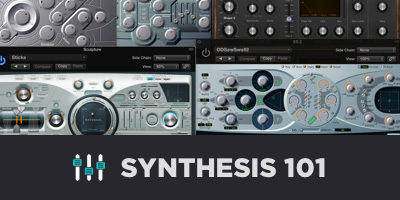 Like most things in mixing, compression techniques are a game of give and take. Of course, at the end of the day, the best fix is to get it right at the source. Then again, if it were right at the source we wouldn’t be reading this article. The truth is, sources rarely come in perfectly, so it’s important to be armed with a few techniques for fixing it in the mix.